Live below the Line Day 5! After doing so well all week and all getting up and having breakfast together this morning wasn’t so great. Becksie had been out to a Folly Dollies committee meeting and had successfully declined a glass of wine and a homemade strawberry cheesecake cake!!!!!!!! When she got home Ian and Becksie enjoyed their final pot of coffee (thats right not enough to have any today) and were thinking of heading for bed when Lizzie woke up. Now this is very rare for Lizzie so Becksie had a panic that the only possible conclusion was that Lizzie was hungry (she wasn’t, she’d eaten her tea but the mother guilts set in). Ian and Becksie were also hungry so…… (Bad parent alert) we got Lizzie up and Becksie made 3 homemade biscuits and we had ourselves a Team Pugh midnight feast! 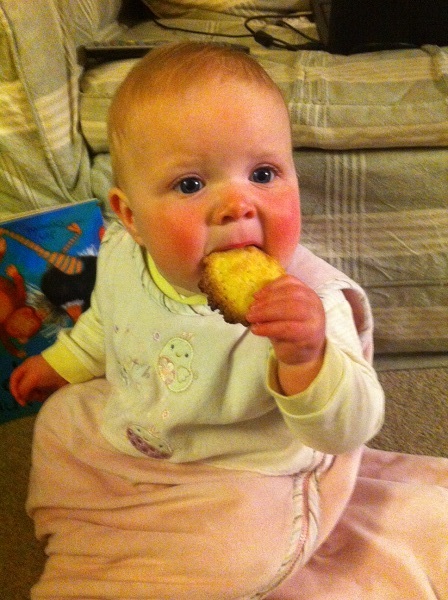 Becksie was still hungry and didn’t get to sleep to 4 am! So this morning was a little disorganised and Ian dashed out the house minus breakfast! Eeeek!